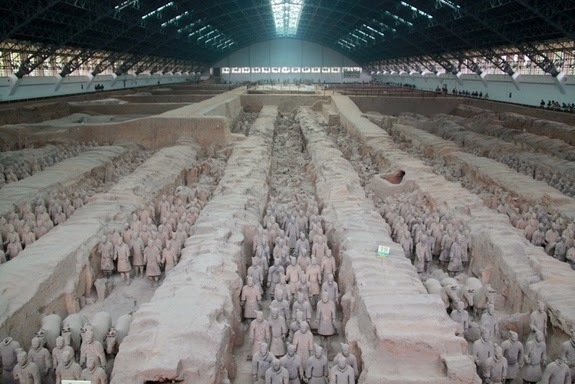 One of the most astounding archaeological discoveries of the 20th century is arguably the life-size terra-cotta army buried alongside China's first emperor. Now, scientists have figured out how the bronze triggers for the crossbows of the 8,000 terra-cotta warriors were manufactured. 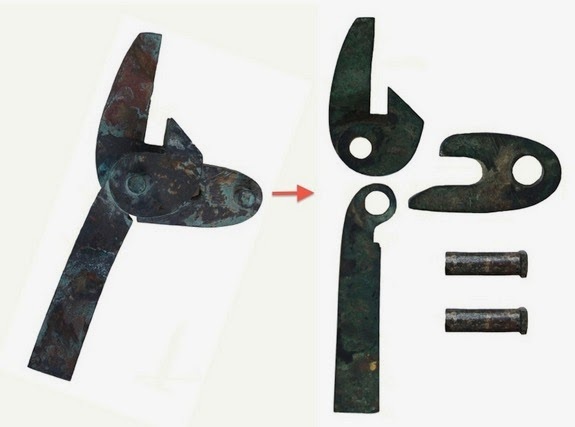 Teams of craftspeople worked in small groups to produce the bronze pieces in batches for the tomb of ancient Emperor Qin Shi Huang, according to a new study detailed in the March issue of the journal Antiquity. The massive undertaking had an important goal: ensuring the emperor's military power and resources in the afterlife. As part of the huge project, craftspeople sculpted about 8,000 colorful warriors — likely using real human beings as inspiration — and those warriors wore stone armor and "wielded" lances, swords and crossbows. But it wasn't clear exactly how these ancient weapons were made. The crossbows were made of wood or bamboo that rotted long ago, and only the tips and triggers for the bows remained, Li told Live Science. To learn more about how the massive trove was built, Li and her colleagues visually inspected and measured about 216 of the five-part crossbow triggers from the mausoleum. The lack of wear on the metal pieces suggests the weapons were never used in actual battle, but were instead built solely for the tomb, the researchers said. In addition, the team analyzed the spots where triggers were found in the tomb, as well as the variation in the size and shape of the pieces. The pieces were mostly uniform, suggesting the interlocking trigger parts were made in the same or nearly-identical molds and produced in small batches. Each batch of the trigger pieces was likely then assembled in small cells, or workshops, perhaps headed by an overseer. That model contrasts with the "assembly line" hypothesis that some archaeologists thought might have been used. The organization into small workshops was similar to the structure the emperor imposed on the rest of society in ancient China, said study co-author Marcos Martinón-Torres, an archaeologist at the University College London. "He abolished any privileges inherited by blood, and the population was divided in small groups that were collectively responsible for their adherence to imperial laws," Martinón-Torres wrote in an email to Live Science. "For example, if someone in one of these groups committed a crime, all of them were held responsible, unless they reported the culprit and allowed them to be punished." 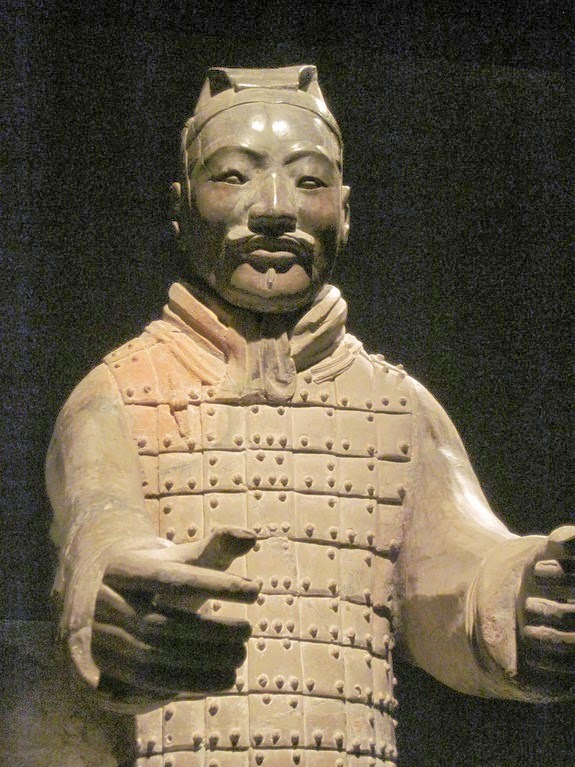 The manufacturing technique used in the workshop also may have been used by weapon makers for the Emperor of Qin's real armies, though that's just speculation, Martinón-Torres said. "The cellular workshop model we postulate for the weapons manufacture in the mausoleum would have also offered useful flexibility for armies on the move," he said.